Pharaoh fiber was established in 1982 by Mr. Mostafa Azzam in Cairo, Egypt. This personable, family run company has grown throughout the years to become one of the leading monofilement producers in the regions. Joined in the last 10 years by Mostafa’s sons, Khaled and Hatem Azzam, Pharaoh Fiber has remained a family run business which has surpassed its competitors in quality of product, personability with their clients and remarkable service within as well as outside of Egypt. Pharaoh Fiber began with producing PVC and PP monofilament fibers. We were the first producers of synthetic fibers in Africa and the Middle East region. In the 1980’s we were the sole suppliers in the Egyptian market to manufacturers of brushes and brooms. In the 1990’s we set our goals higher and not only were supplying the local market but also began to cover the Arabian and African markets. Our dream of expanding combined with our fighting spirit pushed us to work harder and by the twenty first century, we set an even higher goal and decided we would be courageous enough to open ourselves to an even bigger market internationally. In 2004, we decided to participate in the Interbrush Exhibition for the first time, which we believed would be the best window of opportunity into the international market. ourselves. By 2015, we made this a reality and began producing PET fibers, alongside PVC and PP synthetic fibers, so that we could match the worldwide demand and move forward to continue being worldwide competitors in our field as well as providing a large variety of products for all our clients. Through decades of experience, Pharaoh Fiber has mastered the production of PET, PVC, PP,and natural fibers. 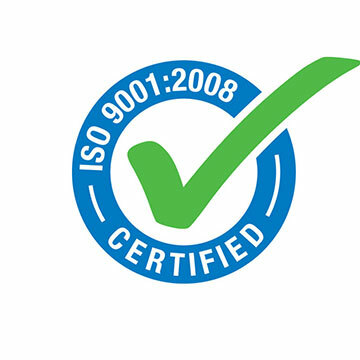 we received our ISO­9001 in 2014. Since we are a family run business, we cherish and treat our clients like family. We treasure our relationships with each and every one of our clients and are distinguished from our competitors in our service to our customers. We always deliver on time, make customer care a priority, and make yearly visits to all our clients in Egypt and abroad. Pharaoh Fiber looks to the future with enthusiasm and hopes to continue to strive for greatness. We are continuously shifting and shaping our company to stay up to date with new technologies and move towards growing and expanding our capabilities. We look to the future with enthusiasm and hopes to continue to strive for greatness. We are continuously shifting and shaping our company to stay up to date with new technologies and move towards growing and expanding our capabilities. Copyright © 2016 Pharaoh Fiber | All Rights Reserved.